Love is truly a great thing...even more when you mix it with a cappella music. A cappella music has the power to create some truly magical moments, and no, we're not just talking about breakdown moments initiated by the resident beatboxer (all though those are pretty cool). No,w e're talking about the subject of love and music's ability to bring two people together. 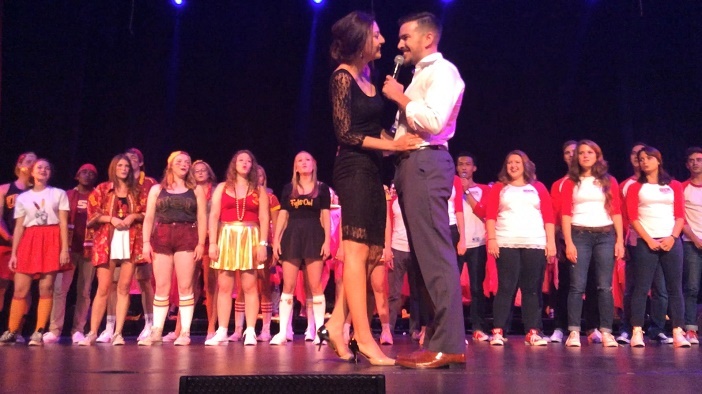 Two years ago at the annual All Hail A Cappella show on the USC campus over 100 voices combined their musical talents to help Alex propose to his girlfriend Anna. Let's just say it culminated in one of the most "magical" moments in a cappella history.